Super Lawyers recently published its annual list of Super Lawyers and Rising Stars in Pennsylvania. 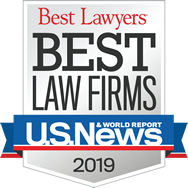 Strassburger McKenna Gutnick & Gefsky is pleased to announce that five of its attorneys were named to the 2018 List, one of which was named as one of the Top 50 Lawyers in Pittsburgh. .
David A. Strassburger was named a Top 50 Pittsburgh Super Lawyer for the second year in a row.